On January 16, 2019, client Patrick Pursley was found not guilty of the 1993 first-degree murder of Andy Ascher in a retrial before Illinois Circuit Judge Joseph McGraw. Mr. Pursley was originally convicted in a 1994 jury trial in which the state relied heavily on the testimony of a state ballistics examiner that a firearm attributed to Mr. Pursley fired the bullets and cartridge cases found at the crime scene. Although Mr. Pursley maintained his innocence and sought post-conviction ballistics testing, Illinois law did not provide for this type of testing at the time, and his request was denied. However, Mr. Pursley persisted. While in prison, he wrote an article stating that the law should keep up with technology and allow for ballistics testing in post-conviction settings, just as it did at the time with DNA. After lobbying efforts on Pursley’s behalf, the Illinois legislature amended the law in 2007 to provide for post-conviction ballistics testing. The firm then submitted the ballistics evidence to two preeminent and independent ballistics specialists who examined the evidence using new technology and concluded that Mr. Pursley’s firearm did not fire either of the bullets or carry either of the cartridge cases found at the crime scene. In December 2016, Judge McGraw of the Winnebago (IL) County Circuit Court held a three-day evidentiary hearing on this evidence, and on March 3, 2017, he vacated Pursley’s conviction and awarded him a new trial. At that time, Mr. Pursley was released on bond after spending more than 23 years in prison. For more than a decade, a diverse team of lawyers has been dedicated to overturning this wrongful conviction. Partners Robert Stauffer and Andrew Vail and Associates Kevin Murphy and Monika Kothari led significant aspects of the case. Associate Sara Kim and paralegals Eric Herling and Nick Perrone provided invaluable assistance before and during trial. Firmwide, more than 60 professionals—from lawyers to paralegals to library services—contributed 9,478 hours to this case over more than a decade. Partner Rick Richmond led a trial team that obtained an involuntary manslaughter verdict for a pro bono client against whom prosecutors sought a first-degree murder charge. Client Dietrich Canterberry faced the charge after an altercation outside a Hollywood nightclub that resulted in a fatality in October 2016. Following a three-week trial in Los Angeles, the judge overseeing the case instructed the jury to consider charges of second-degree murder, voluntary manslaughter, or involuntary manslaughter, and not the first-degree murder charge initially sought. On June 26, the jury acquitted Mr. Canterberry of the two more serious charges. The trial team included Associates Nayiri Pilikyan, Alice Kim and Sarah Norman, and paralegal Chris Ward. The case received significant media coverage. In December 2017, the Daily Journal profiled Rick, noting that this was his first time defending criminal charges. The publication also covered opening and closing arguments, reporting on Rick’s statements to the jury that Mr. Canterberry was “a brave man who attempted to help a friend by jumping into a brawl” and who acted in self-defense when he collided with another man running directly at him. The Daily Journal also reported that a second defendant, now facing a separate murder trial for his role in the fight, then stomped on the head of the man, who later died. A separate article about the verdict quoted Rick on the differences between trying a criminal case and his primary practice handling large and complex commercial disputes. The case is People v. Canterberry. A team of Jenner & Block lawyers led by Partner Gabe Fuentes obtained the appellate reversal of a Kane County murder conviction based on what the court said was inadmissible expert testimony from a well-known former FBI profiler and television commentator. The firm represented Shadwick King pro bono in the appeal of his murder conviction in the death of his wife, Kate. On August 21, 2018, the Illinois Appellate Court ruled that the State should not have been allowed to use the expert testimony of Mark Safarik, who has appeared on numerous television shows, including Forensic Files, to establish that Kate King had been killed in the first place—a key disputed issue at Mr. King’s 2015 trial. Kate King was found dead on a set of railroad tracks near the couple’s Geneva, Illinois, home in July 2014. Investigators suspected Mr. King of being involved in her death, and the evidence against him at his March 2015 trial was heavily circumstantial. The forensic pathologist for the defense testified that Mrs. King likely had died of heart failure. The State’s medical examiner, after first leaving the autopsy report blank for “manner of death” and telling the lead detective at the autopsy that Mrs. King’s cause of death would be listed as undetermined, testified at trial that she was manually strangled. The Appellate Court ruled that the State “broke the tie” with the profiler, Mr. Safarik, who was not qualified to give medical testimony yet testified that her cause of death was manual strangulation. The court also held that the trial court erred in allowing Mr. Safarik to testify to his opinion that the crime scene was “staged” by someone who wanted to distance himself from the crime scene and Mrs. King to throw off law enforcement. Mr. Safarik’s “staging” testimony, the court ruled, strayed into impermissible “profiling” testimony that “indirectly, but pointedly” identified Mr. King as the killer, “because, under the circumstances, no one else fit that profile.” The Appellate Court remanded the case to the Kane County Circuit Court for retrial. Prosecutors asked the Illinois Supreme Court to review the decision, and in January, the court announced it would hear the case. Gabe briefed and argued the case in this complex appeal, and with him on the brief were Partner Cliff Berlow and former associate Philip Kovoor. The case is People of the State of Illinois v. Shadwick King. On September 4, a Jenner & Block team led by Partner Zachary Schauf prevailed in the DC Circuit on behalf of an inmate, Edward Ford, who challenged the US Parole Commission’s unlawful practice of delaying parole hearings for certain inmates convicted of offenses under both the US Code and DC Code. Expressly splitting with the Seventh Circuit, the DC Circuit ordered the commission to hold a new hearing to redress the unlawful delay. Thanks to this ruling, Mr. Ford now has a real chance of obtaining parole during his lifetime. When the commission denied Mr. Ford’s most recent request for parole in 2012, Ford brought suit in the US District Court for the District of Columbia. The district court granted summary judgment to the government. Mr. Ford appealed and the DC Circuit appointed Jenner & Block as amicus curiae to present arguments in Mr. Ford’s favor. Zachary presented oral argument on April 26, 2018, before Chief Judge Garland and Judges Griffith and Srinivasan. Partners Max Minzner and Dave DeBruin supervised the case, edited the briefs and served as moot court judges, along with Partners Jessie Amunson, and Previn Warren. Associate Benjamin Eidelson and former associates William Dreher and Kendall Turner also worked on the case. The case is Ford v. Massarone. Partner Todd Toral leads a team representing two civilian lawyers who resigned on ethical grounds from serving as counsel to Abd al-Rahim Hussein Muhammad al-Nashiri, the alleged mastermind of the attack on the United States Navy destroyer USS Cole who is facing a military trial at Guantánamo Bay. The civilian lawyers resigned after discovering various intrusions into the attorney-client privilege, including finding surveillance equipment in a client meeting room. The high-profile case has attracted significant media attention in national publications, including The National Law Journal, Courthouse News Service and the ABA Journal, which published a cover story on the twists and turns involved in the trial in its November 2018 issue. As the articles have highlighted, the legal proceedings involving Pentagon-paid civilian defense counsel Mary Spears and Rosa Eliades have been complex and involved numerous government branches and court jurisdictions. 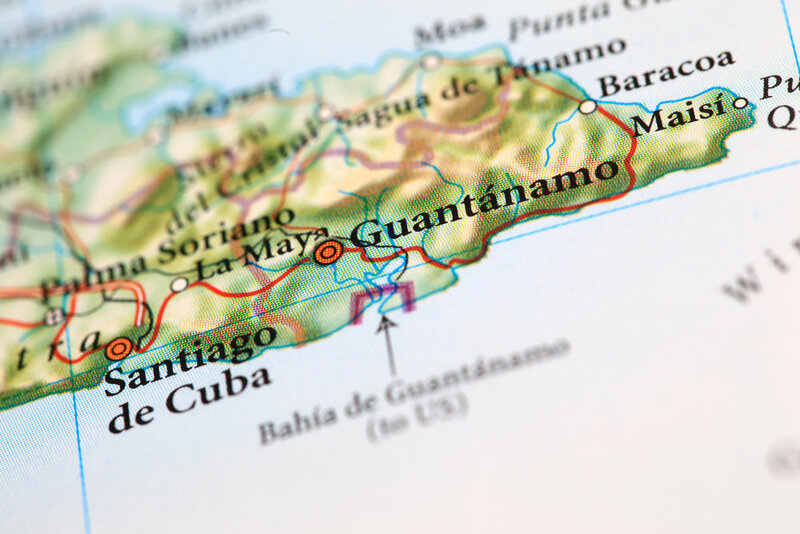 In October 2017, the chief defense counsel for Military Commissions at Guantánamo Bay, Marine Corps General John Baker, excused the two as defense counsel. The military judge overseeing the case, Air Force Colonel Vance Spath, disagreed with that decision, eventually confining General Baker to quarters and ordering Ms. Spears and Ms. Eliades to continue to serve as defense counsel. He even considered issuing warrants for body attachment to have Ms. Spears and Ms. Eliades arrested by the US Marshals Service in Illinois and Virginia. After Judge Spath ordered last-minute subpoenas for the civilian lawyers to appear in court, the Jenner & Block team succeeded in causing him to order the Department of Justice to issue new subpoenas and also filed motions arguing that General Baker, as chief defense counsel, had the proper authority to dismiss the civilian lawyers from further service. “Certainly from our perspective, notwithstanding having entered into a briefing schedule on the merits, there wasn’t a serious interest on the part of Judge Spath of actually grappling with the merits of the underlying argument,” Todd states in the ABA Journal article about the firm’s efforts to confirm General Baker’s dismissal of Ms. Spears and Ms. Eliades. The article outlines how Judge Spath later abated the proceedings, prompting the DOJ to appeal the abatement order to the US Court of Military Commissions Review (CMCR). The Jenner & Block team filed at the CMCR a motion to intervene, which the CMCR denied without serious analysis. Thereafter, as featured in The National Law Journal, the team filed a mandamus petition with the US Court of Appeals for the DC Circuit challenging that order. The DC Circuit responded by ordering, among other things, that the DOJ submit a declaration “describing any and all intrusions that have occurred, may have occurred, or that the government believes foreseeably could occur” in communications by Ms. Spears and Ms. Eliades with Mr. al-Nashiri or others. Five days after the DC Circuit issued its order, the DOJ reversed itself, notifying the DC Circuit panel that it had asked the CMCR to “promptly” grant intervention in the proceedings by the two lawyers. In January 2019, the case returned to the DC Circuit. At issue in the latest hearing was General Baker’s authority to dismiss the civilian lawyers. A Courthouse News Service article quoted Partner Matt Hellman, who argued the case in front of the DC Circuit, addressing the military court rules that grant the general the right to excuse Ms. Spears and Ms. Eliades. “It couldn’t be much clearer,” said Matt, who is a co-chair of the firm’s Appellate and Supreme Court Practice. The matter continues to be hotly litigated. In addition to Todd and Matt, the Jenner & Block team includes Partners Brandon Fox and Keisha Stanford and Associates Alice Kim and Eric Lamm. Partners Gabe Fuentes and Luke Platzer are also providing support. Partners Adam Unikowsky and Ishan Bhabha and Associates Lauren Hartz, Andrew Noll and Tassity Johnson assisted with moot arguments. Cheryl Olson provided paralegal support, Tyler Edwards provided docketing support, and Beth Gulden provided administrative assistance. The underlying case is United States v. Al-Nashiri. In 1996, client Anthony Lee was convicted of aggravated sexual assault and kidnapping and sentenced to 100 years in prison. The trial had no scientific evidence or eyewitness testimonies other than testimony from Mr. Lee and his accuser, L.M. Prior to Mr. Lee’s trial, five potential witnesses submitted affidavits to Mr. Lee’s trial counsel that corroborated Mr. Lee’s testimony and contradicted his accuser’s. However, it appears trial counsel did not call any of the five witnesses to testify at trial and never contacted them. In 1998, Mr. Lee began pursuing a claim for ineffective assistance of counsel in state court, making more than a dozen requests for an evidentiary hearing. Although Mr. Lee pleaded a prima facie claim under Strickland v. Washington, 466 U.S. 668 (1984), the state courts rejected his claim without ever granting him an evidentiary hearing on the merits. The state courts reasoned that Mr. Lee suffered no prejudice from trial counsel’s apparent failure to investigate the witnesses because the affidavits did not necessarily demonstrate that the witnesses would have made a difference at trial. On October 22, 2018, Associate Abraham Salander argued the appeal before a panel of judges. Judge Easterbrook led the court’s questioning and focused on whether Mr. Lee’s requests for an evidentiary hearing in state court were sufficiently detailed to entitle him to a hearing in federal court under the federal habeas statute. After oral argument, the court ordered the parties to submit copies of Mr. Lee’s requests for an evidentiary hearing in state court along with the state courts’ rulings on those requests. Jenner & Block submitted a brief supported by 37 documents demonstrating that Mr. Lee’s requests were sufficient under federal law. On December 21, the Seventh Circuit unanimously ruled Mr. Lee was entitled to an evidentiary hearing on his claim for ineffective assistance of counsel, stating that if the witnesses were called to testify, it was “unlikely” they “would have parroted their affidavits and refused to say another word.” The court specifically praised the firm’s “enthusiasm” and collection of relevant information in response to the court’s post-argument order. The firm team was led by Partners Bradley Yusim, Of Counsel Barry Levenstam and Paralegal Mary Frances Patston. Partners Michael Brody, Tony Valukas, Randy Mehrberg and Megan Poetzel assisted with oral argument preparation. Partner Jessie Amunson and Associate William Von Hoene worked on the case at earlier stages.